The ferry arrives on Bressay near the 19th century house and old pier at Maryfield. Next to the ferry terminal car park is the Bressay Heritage Centre which houses fascinating seasonal exhibitions on the culture, history and natural heritage of the island. Although plans are underway to construct a bridge over to the island within the next few years, the only route at present is by ferry. In 1975 the small boat that provided a goods and passenger service to the island was replaced by the larger roll-on roll-off ferry, allowing passengers and vehicles to be easily transported across to Lerwick. In 1992 this vessel was replaced by the present large ferry to accommodate the needs of the growing population. 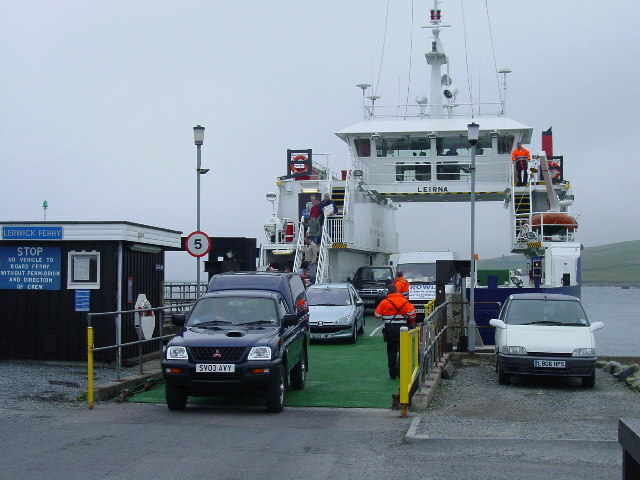 There is a frequent daily service to Lerwick. Sailings continue into the late evening with later ferries operating on Fridays and Saturdays. The crossing takes about five minutes.